CLEVELAND -- The Cleveland Cavaliers dominated from start to finish in Game 6 to tie the series 3-3 and beat the Golden State Warriors 115-101. 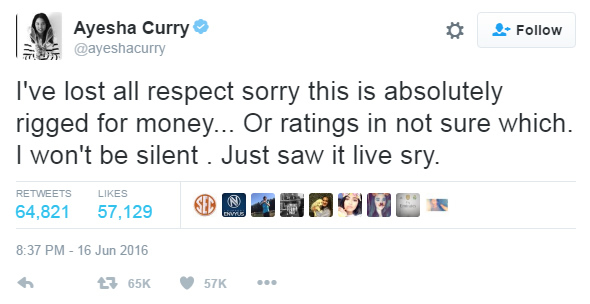 And for that, Dubs star Steph Curry's wife was not happy. 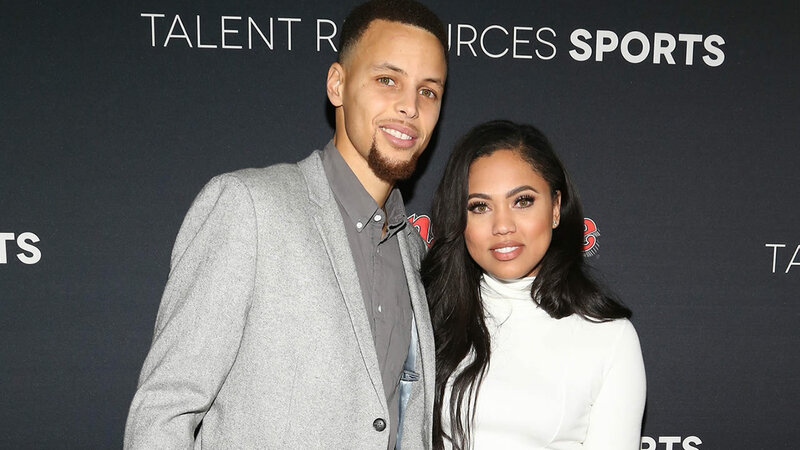 Ayesha Curry took to Twitter after her husband fouled out of the game. In a tweet that's since been deleted, she said in part, "I've lost all respect sorry this is absolutely rigged for money..."
After taking down that message, she apologized and said she "tweeted in the heat of the moment because the call was uncalled for." And then followed up by saying her father was racially profiled. Ayesha also tweeted before the game started about how her cousin couldn't get into a casino because he was wearing Warriors gear. And how the families were sitting on the bus 10 minutes until game time, and they wouldn't let them in. For full coverage on the Golden State Warriors, click here.